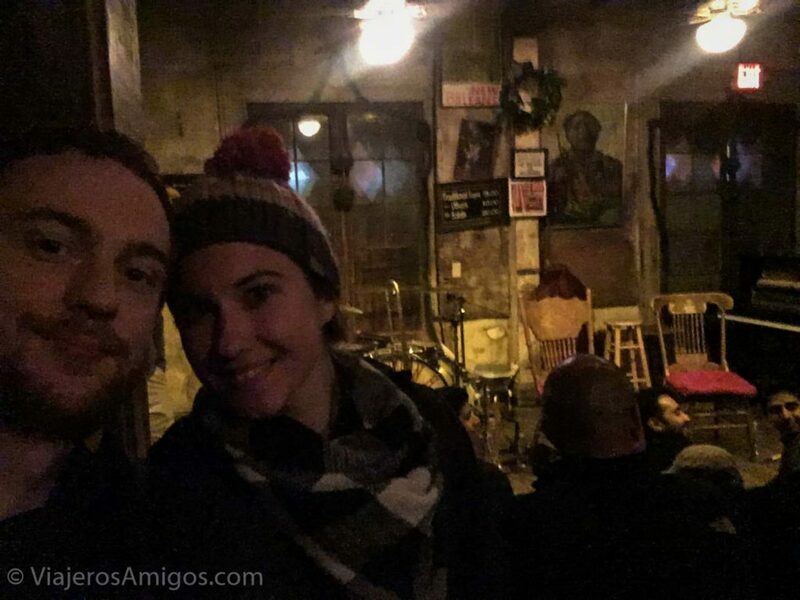 Tap Your Toe at the Preservation Hall - Viajeros. Amigos. 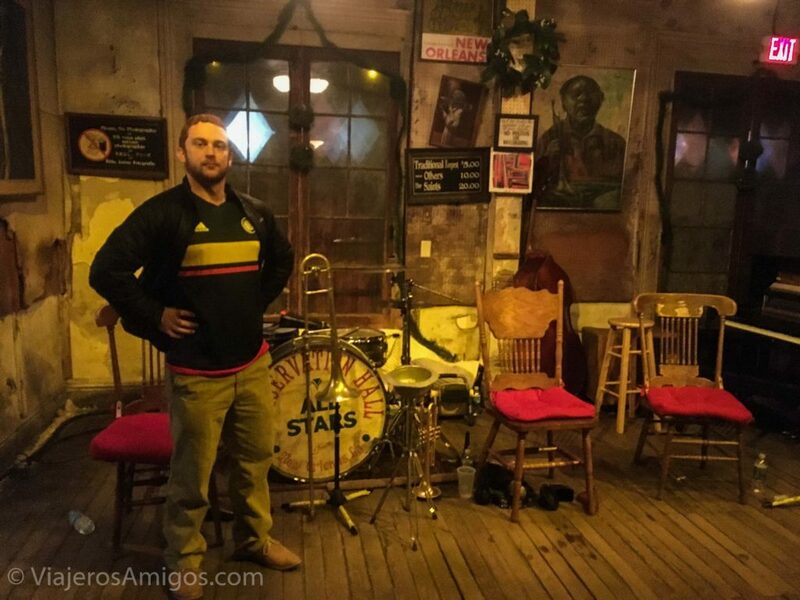 If there’s one place to go to on your trip to New Orleans, make sure it’s to see a show at Preservation Hall. 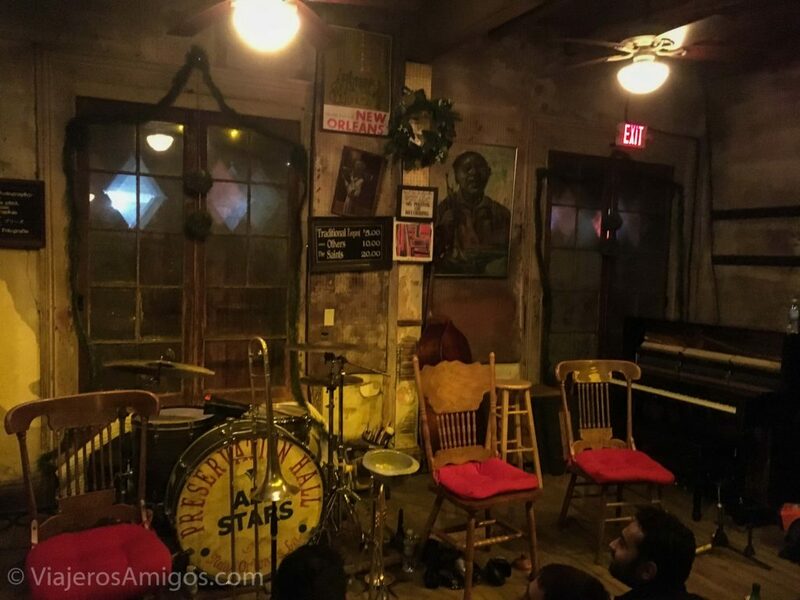 Preservation Hall is a venue for a nightly New Orleans Jazz show performance. 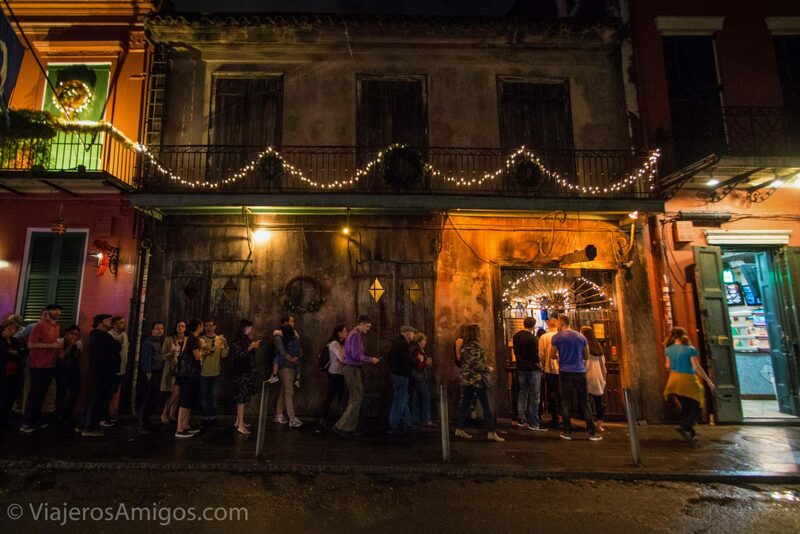 It is listed on pretty much every New Orleans itinerary out there. Housed in a structure built in the 18th century, you can feel the history around you. The exterior of the building looks super weathered and stands out from the surrounding buildings as it’s likely one of the older ones there. The interior leaves you guessing what the walls are made of. Performances are nightly at 5, 6, 8, 9, and 10pm, so you will have plenty of choices on your trip. You basically have two options. The first is to wait in a long line until doors open, and pay $20 (cash only) to get in on a first-come, first-serve basis. The other option is to reserve a seat. There are a limited number per show and the prices range from $35 to $50. This is preferred if you don’t think you can stand in a line for 30-45 minutes and risk not getting in. We chose to wait in line because we are both 28 so standing for a long time isn’t a big deal. They squeeze in as many people as possible, so we were left with standing room only. The show is usually performed by the house band: The Preservation Hall Jazz Band. You aren’t allowed to take photos or video except for at the very end when they explicitly give you permission. Once the show begins, you are treated to about 45 minutes of very talented musicians playing some great songs. 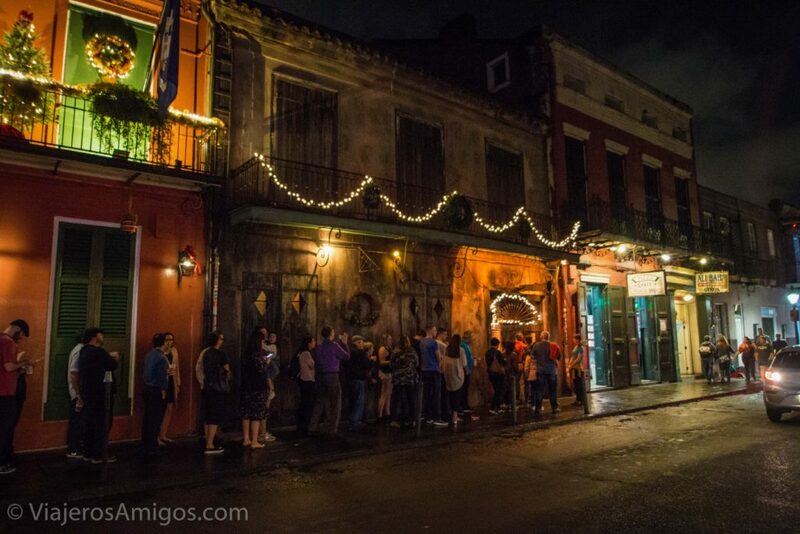 It will really get you into the spirit of New Orleans. While jazz is mostly improvised, the way it’s played there is a little formulaic in that they all play together while the lead singer sings for a while. Then they each take turns standing up and doing a solo. Nobody is skipped over. Then they go back and sing. It sounds a little robotic reading it here, but if anything, it enhances the performance knowing there is another solo coming up. There is one caveat to the show, and a really annoying one at that: If you want to request a song, you need to pay $5 per traditional song request ($10 for non-traditional, whatever that means). If you want them to play “When the Saints Go Marching In,” it costs $20. I get that they must be tired of performing the song, but it conveyed a sense of disdain for the audience. The location is pretty easy to find. 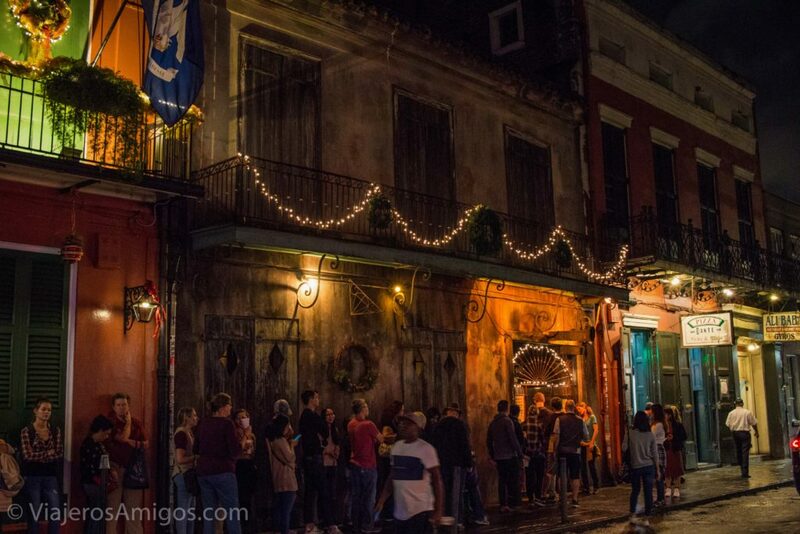 It’s located between Bourbon Street and Royal Street on St. Peter Street. 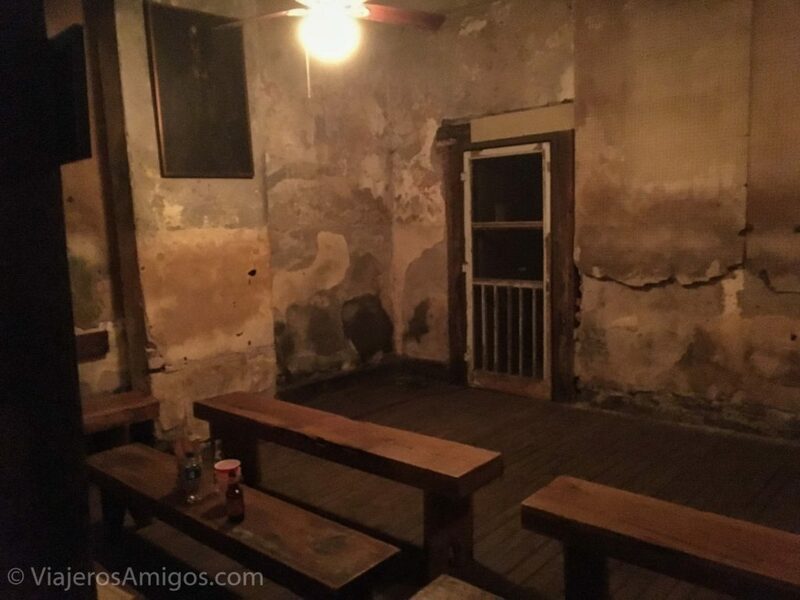 Once you finish dinner at The Court of Two Sisters, head on over to catch a performance. 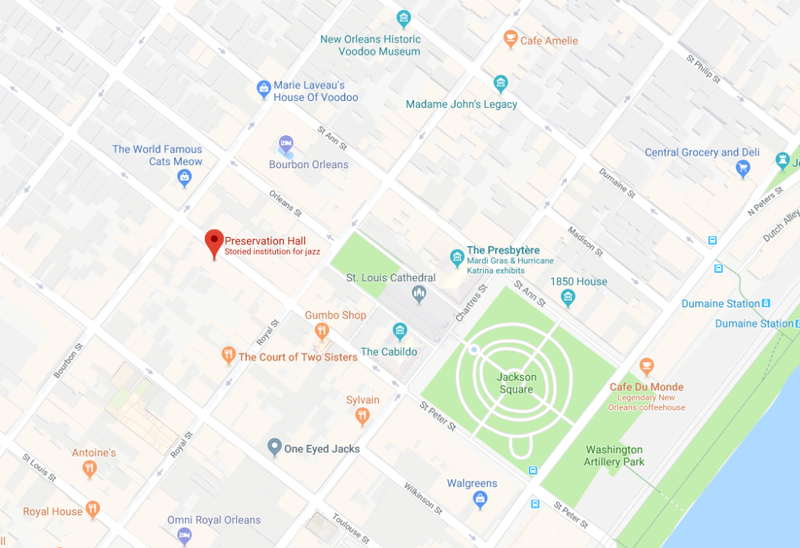 A lot of the interesting sights in the French Quarter are located a short walk from each other. Did you see the Preservation Hall Jazz Band and enjoy the show? Do you disagree with our opinion on the song tips? Leave a comment below and let us know!